Some habits are difficult to let go. For example, property inspectors are familiar with using the pen and clipboard method when conducting property inspections. With everything going digital these days, it is hard to find software that maintains the familiarity of traditional inspection reports. Snap Inspect is property inspection software that keeps the traditional checklist method for inspection reports, but provides these reports in an easy-to-understand digital format. We spoke with Sam Ovens from Snap Inspect to learn more. APM: Hi Sam, it would be great if you could go into more detail about Snap Inspect. Sam: Snap Inspect is property inspection software that works on iPad, iPhone or Android devices. Residential, commercial and vacation property management companies use it. For example, vacation rental management companies when families rent a home out for several days near Disney amusement parks. Basically, it allows a property management company to take their existing pen and paper forms and move them inside SnapInspect. We don't change the checklist companies are used to using. We also don't change the process that companies are used to using. We try not to change anything other than moving it from pen and paper to digital. We try not to interrupt the way they're used to working. We try and make their reports look exactly how they want them to look. The key reasons why someone would choose SnapInspect over the competition is because we can customize their checklists to be exactly how they want it. We can make the finished PDF reports that they email their clients look identical to what they're currently using, whereas other property inspection apps force you to use their format. APM: Can you talk about some of the features that SnapInspect offers? Sam: Well, our most popular feature, offered only by SnapInspect, is the video walk-through. You can do an inspection, use a checklist, write comments, take photos, and you can also do a video walk‑through of the property. SnapInspect helps create the report, turn it into a PDF, and then place a thumbnail of the video inside the report for people to access. There is also a URL they can go to if they have a printed version and are unable to click on the thumbnail. They are directed to a unique page where they can view a walk‑through video of the property, and also receive a normal condition report. Regardless of what city, state or country they are in, property investors can access the walk-through video and access the paper report. Property investors have a clear idea about the condition of their property. APM: If we were to talk to your top three customers, what would they say? Sam: Our top three customers are large companies. They have experience with our competition. They've tried and tested most of the inspection products available and assessed them thoroughly. These guys are spending thousands of dollars a month on software because they have so many offices. These are national franchises, and big real estate chains. Often the head office is trying the product, and when they're sure they've found the best one, they mandate it for their entire franchise. Once they've picked one, they let their franchise know, "It's now mandatory to use this product." However, in order for them to mandate a product like that, they have to do a thorough test. They've tested the three major competitors, side- by- side for 6 months, out in the field and everything, and they chose SnapInspect. APM: What's the background story with SnapInspect? Sam: I actually did not have a background in property management. I just remember watching my parents' house go through an inspection. The guy walked around with a pen and paper, and I thought there must be a better way to do this. Everyone has smartphones, and everyone uses apps. Why is the property management industry still using pens and paper? I started calling different types of property management companies to learn how they handle property inspections. Even the biggest, most tech‑savvy companies were still using pen and paper. I could not believe it. I decided to mock up an idea. I was just drawing and talking to different developers. Eventually I found a development company that could do it for an affordable price. I went back to all the people I know and said, "Hey guys, I'm thinking about doing this thing. What do you think?" They all loved it. So I built it. We started off small, with just five to ten users, added some more, and the number has been increasing ever since. We constantly try to improve the product, and our software is used globally. Our main customer base is the US though. We have more customers in the United States than any other property inspection app. APM: That's a really unique background. 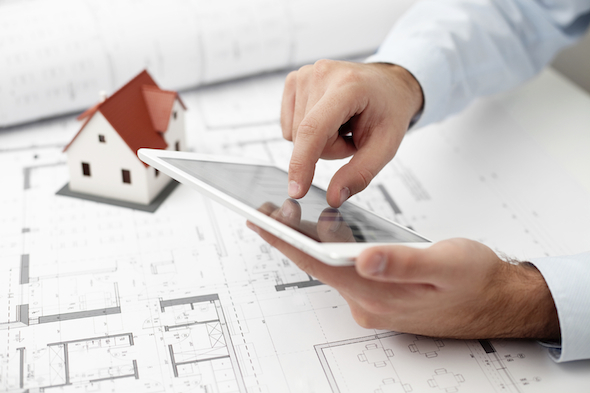 It sounds like you just wanted to create a simpler product for home inspection reports. Sam: I just wanted to solve a problem. APM: Is there anything else you would like potential customers to know? Sam: I'd be happy to do a special deal on SnapInspect for all of your customers. We can offer 10% off the monthly SnapInspect prices. SnapInspect is inspection software designed with the property manager in-mind. SnapInspect keeps the traditional property inspection, checklist format, in an effort to make the transition process easy. SnapInspect also offers a very unique feature, the walk-through video! Property investors can take comfort in knowing that wherever they are located they can receive their inspection reports along with a video to see their property's current status.